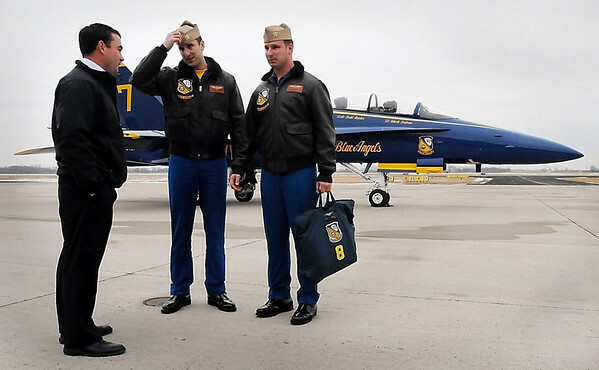 Air Show committee member Jason Ceminsky of North Star Aviation greets Blue Angels pilots Lt. Mark Tedrow (center) and Lt. Cmdr. Todd Royles after they flew in Monday for a planning session with local officials. The air show at the Mankato Regional Airport is scheduled for June 9-10, 2012.